Use our baggage depot to temporarily store your baggage at Schiphol. Handy if you want to visit Amsterdam briefly during a long transfer at Schiphol. Or if you don’t want to carry your suitcase or bag for whatever reason. The Baggage depot will store both hand baggage and hold baggage for a maximum period of 30 days. This baggage depot is open 24 hours a day. It is located in the basement which you can reach by taking the stairs between Arrivals 1 and Arrivals 2. 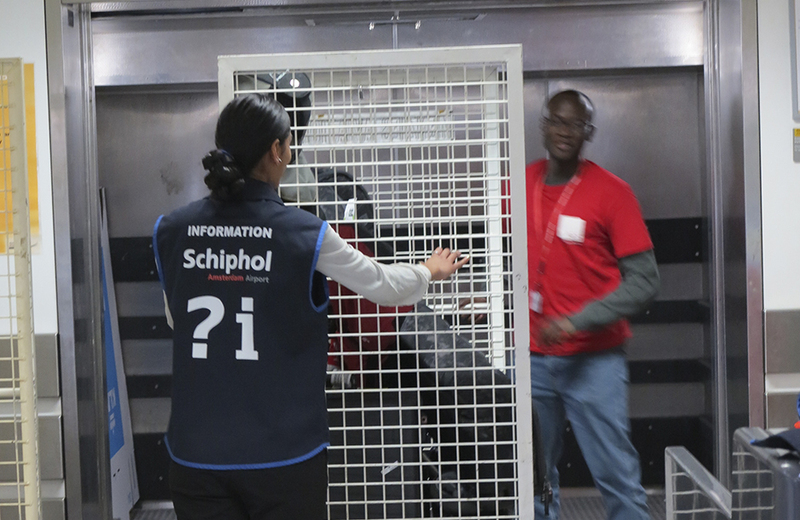 You can no longer use the Schiphol baggage lockers. Our baggage depot is open 24 hours a day and offers an excellent alternative for temporarily storing your baggage at Schiphol. Available payment options are debit or credit card. Keep your receipt in a safe place – if you lose it, it will take our keenest sleuths to retrieve your baggage. We will also charge an administration fee of € 8. Tip: take a picture of your receipt.